If you or your aging loved one is searching for the right senior living community to call home, you probably have lots of questions. For starters -- What type of community will provide the care my loved one needs? What types of options are available in my area? How do I decide which ones to visit? 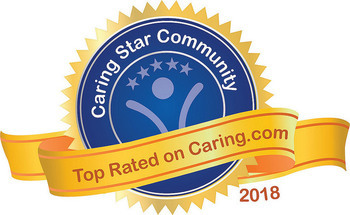 Since Caring.com was founded a decade ago, we’ve strived to provide answers to those questions for millions of family caregivers and older adults across the U.S. Now, we’re harnessing the latest of the more than 150,000 reviews from senior living residents and their loved ones to bring you the Caring Stars of 2018 -- our annual list of the top-rated senior living communities in the nation. This year, more than 260 different senior living communities in 40 states made the cut. We hope the list below helps you in your search for the best senior care community for you and your family. Click the state links below to see which home care agencies earned the Caring Stars distinction in your state this year. Looking for top in-home care agencies? See our list of home care agency winners.